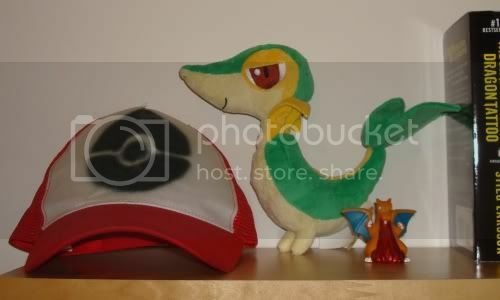 Anyhow, since I'm only in Israel for 5 months, I didn't bring much of my collection, just a Snivy plush and custom Poke-hat for the middle-eastern sun! Meme time: show off your home-away-from-home collection! What did you bring with you? Did you find/buy anything while travelling? How do you display it (if you do at all? i have been building up new electric goodies all summer! i now present them to you in this...! be amazed! be paralyzed! bring a friend! new genga from ep 14? 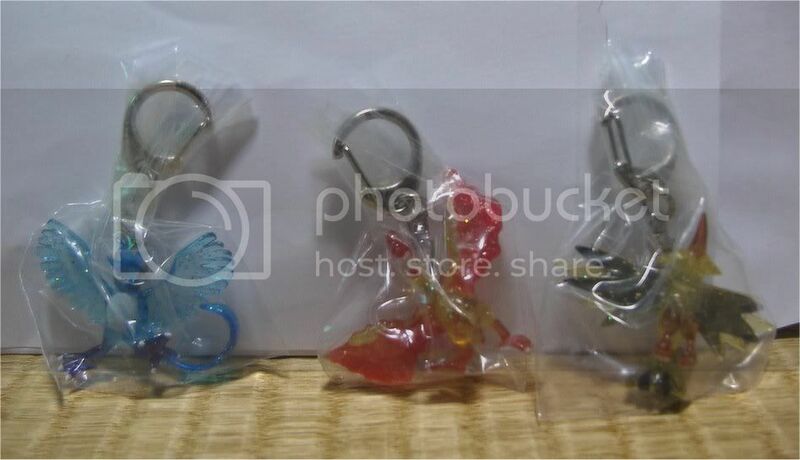 other new VERY rare goodies!!! see you next post :D off to the airport right NOW! 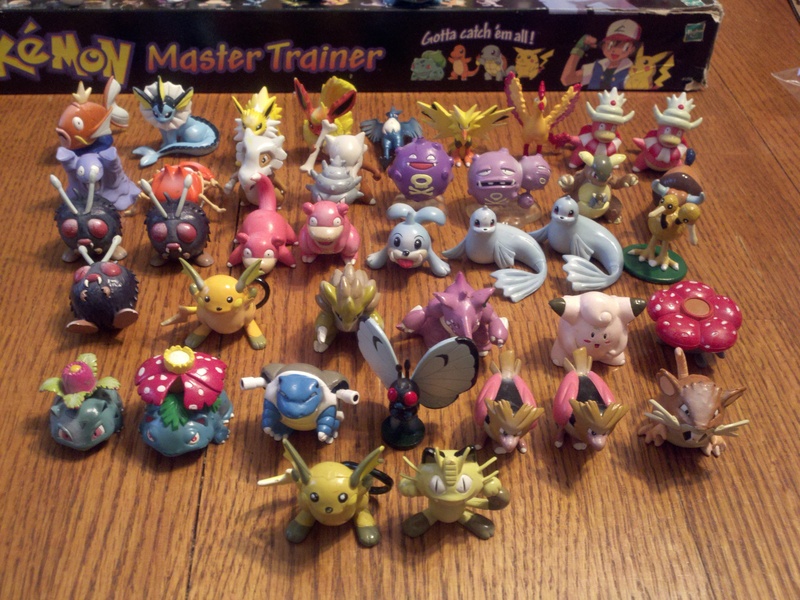 Hi Pkmn Collectors! A reminder that our store BattleAxe is selling some awesome merch for the spooky season, including some Halloween themed Pokemon plush! Check out our eBay auctions by clicking the picture below. Most are ending in the next 24 hours. Last chance to get one before the end of October! Kriscarmi and I knew that many pokemon of this generation are not very popular, that's why we hadn't decided to make a GB. I would do this reminder closer to the end date, but I am going away to a weeding for the weekend. 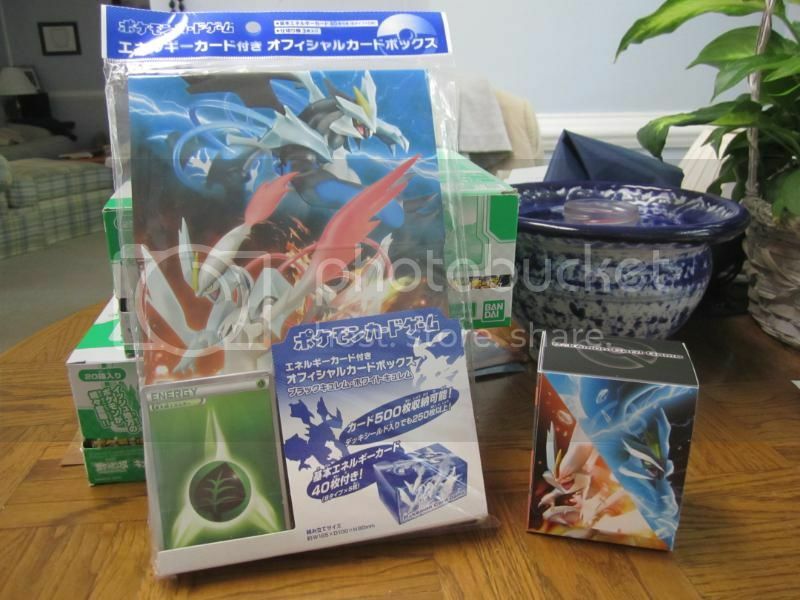 and of course, I will be combining shipping if you win items from both auctions. And Dragonair looks so majestic and lovely! 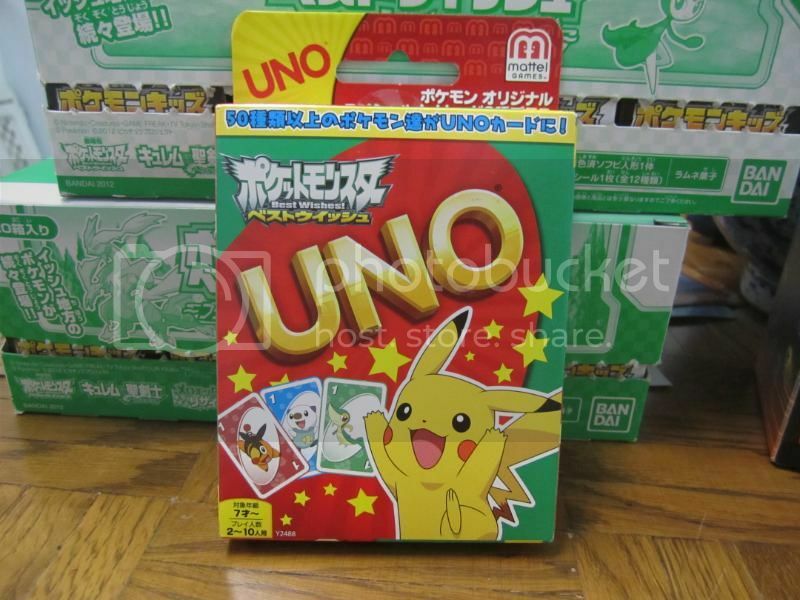 Why are so many nice pokemon things coming out lately? I hope this isn't too old of news to all of you- but I just found out right now and I am so excited! 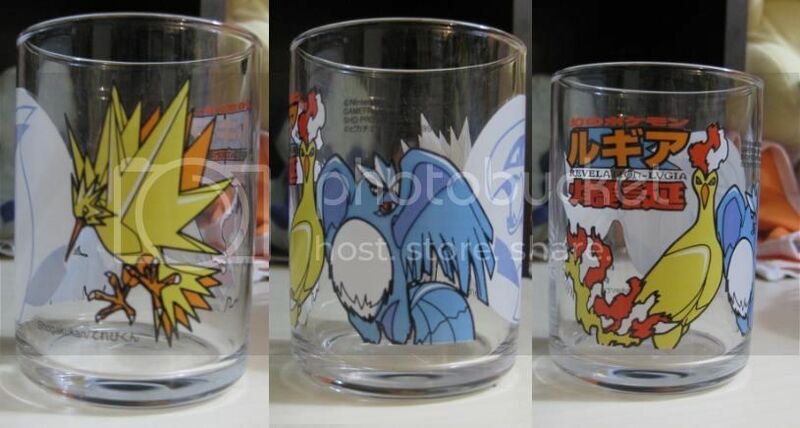 (Edit: See http://pkmncollectors.livejournal.com/13200141.html for more information on these! hmm, those where the good times..
that's why i've decided to buy myself a lot of coming home gifts yeahh. due to little time and such, I didn't do a collection update, but here goes! soo are there other options? So I got sales permission :D Click the banner to be transported, if it doesn't work please comment here so I can fix it lol. Has this ever happened to you? How do you weed your collection? Rather, how do you /decide/ to weed it out? May I ask somebody to help me GA a lot that isn't mine? I don't have sales permission, so I would be doing threads, but I honestly don't know how the spreadsheets here work..... Can somebody explain that part to me? 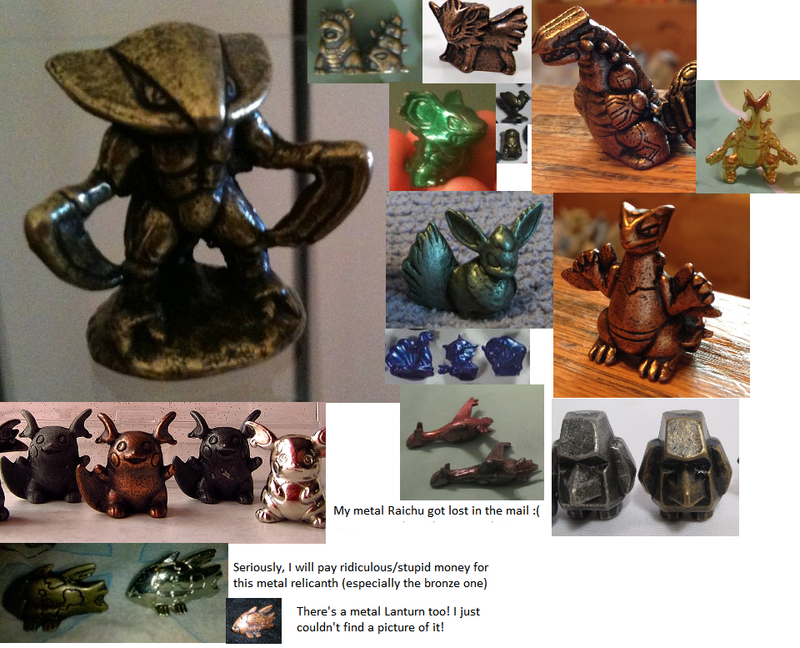 I have 141/151 metal Pokemon! Ten to go! If you have any of these for sale please let me know! Sorry about the really small ones! 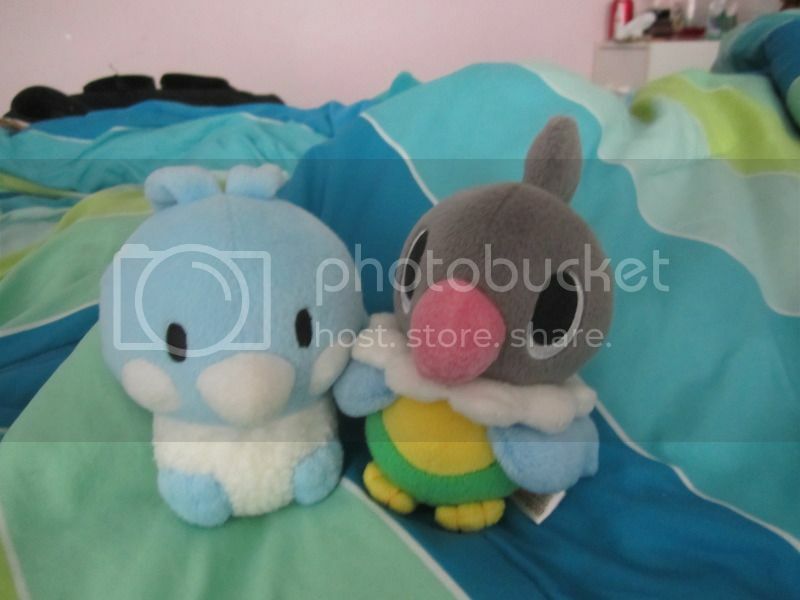 They're Spearow/Quagsire! D: But I'm up in Canada and the seller doesn't ship internationally! I'd gladly run the threads, so what I need is somebody who can place the bid. If anybody's able to stay in relatively good contact to middleman this for me, I'm quite willing to bid for a whole lot, or split one between us, depending on how high the price gets. In the case of just splitting, I would also be interested in Starly, Chingling and Pachirisu, or the Green Burmy, Celebi, Servine and Phione. 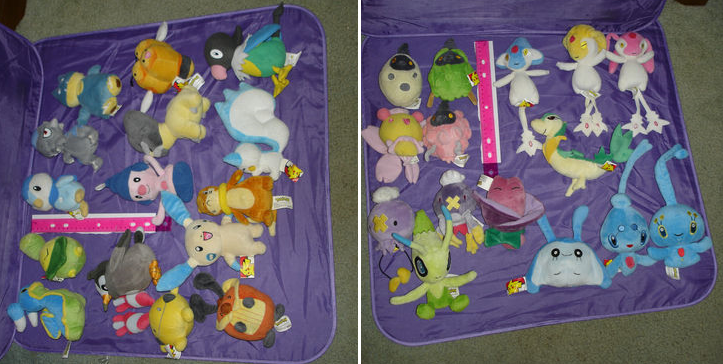 Offers ending/reminder, and offers on chatot and altaria pokedolls. MPC GB payment 1 Due! With the current exchange rate, 18 claims means the plush will be $4.45 each before paypal fees! Please send your total to vailo@fastmail.fm with your username in the comment (not subject line). Lots will be BIN'd as soon as enough money is in! In the event that we aren't fast enough, refunds will be sent back immediately. Hello again everyone! 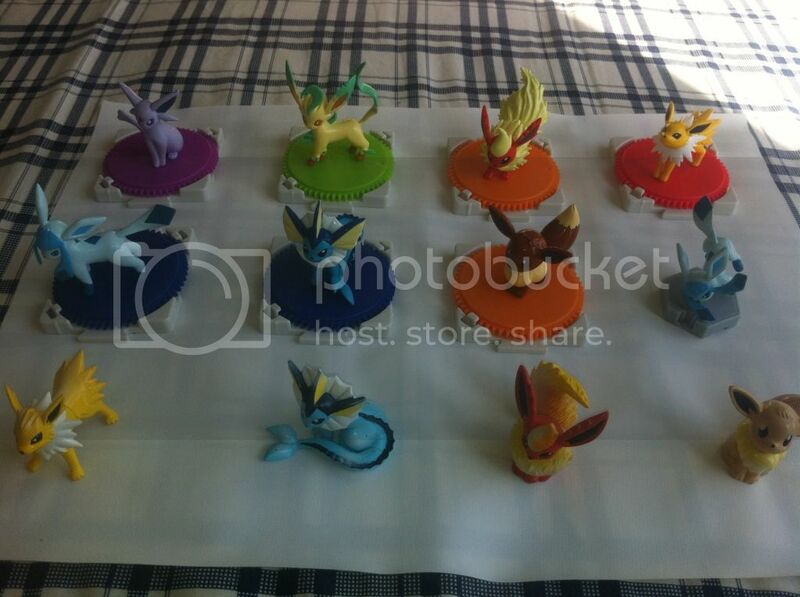 After this Im going stop posting for awhile,I was wondering if anyone had any REALLY CHEAP espeon,bayleaf,or muchlax items? It's my best friends birthdy and I want to get her several gifts! Please and thank you. If this psot isnt allowed please tell me, and I'll. delete! Thank you! 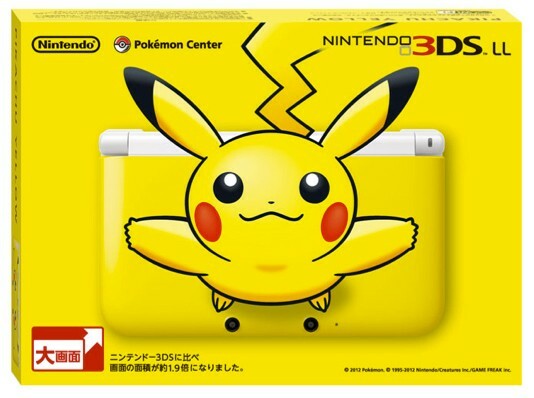 Limited Edition Pikachu 3DS coming to Europe! "For those of you who prefer bright yellow to white, Nintendo is also releasing the striking Pikachu 3DS XL in Europe sometime this year. 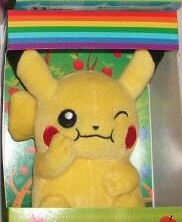 Launched in Japan just shortly before the NA release of the 3DS XL, the unique Pikachu variant of the handheld was only available to those who pre-ordered it from select Pokemon Center stores. " Lots of MPC GA Final Payment Due! -When you send the payment, please put either your username or the items you won in the memo. Putting "payment for GA" or leaving a blank memo just leads to lots of frustrations as I don't know who is paying what. If this happens, I'll refund your payment. -You must mark the payment as "goods". Payments marked as gifts or anything else will result in your payment being promptly refunded. -These packages don't include tracking or insurance. If you'd like to have it on your package, please let me know and I'll be more than happy to add it to your total. -Please send payment to lonewolffxt(at)hotmail(dot)com within 48 hours. Please do it? It makes life easier for everyone! Read the rules? I hope so. Now, without further ado, here is the spreadsheet. Please comment here or PM me with any questions! I'm glad this GA was a success! I took a less blurry picture of our lovelies! Here you go! Toda GA Payment 2 and Extras! Hey there guys!~ So, here are the payment 2 totals for anyone involved in the Toda GA! I know I said I was going to post this last Tuesday/Wednesday, but a lot of personal issues came up... If you're terribly concerned as to what happened, you have the right to PM me if you are a GA member. I have a lot of text with notes to you guys and rules on how to send payment 2, so please read everything carefully! 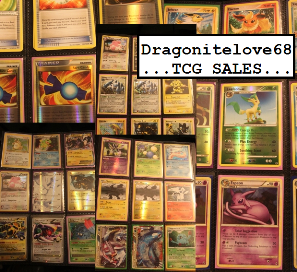 So two grails have popped up, and to celebrate (right) I have a sales post! 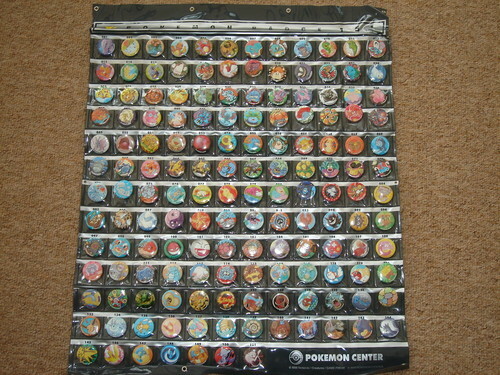 Selling part of my Pokemon TCG Collection. Its sad to say but I have to part with some of my card collection in order to fund my other hobbies atm. :( So I am putting them up for sales. I was granted sales permission by alliniaon Aug 2012. Please take a look see. 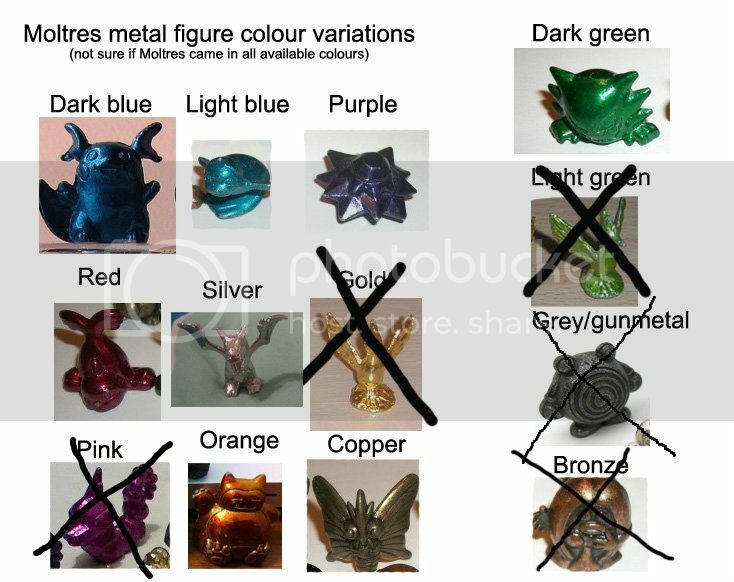 These are the ones, just exclude Suicune :) But, speaking of Suicune, does yours stand on 3 legs because one is shorter than the others? :P I always wondered if that was normal for that figure. Hello everyone! 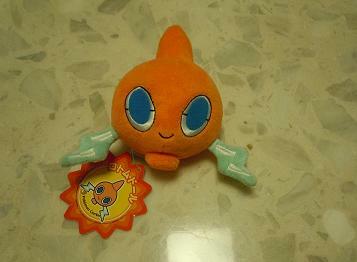 I have decided to put my rotom pokedoll for sale. I am planning on adopting a new furry member to my family and just need a little extra cash to help me out. Tomy Collection Extras & Wants! I'm new to the community so I'd like to take a moment to introduce myself. 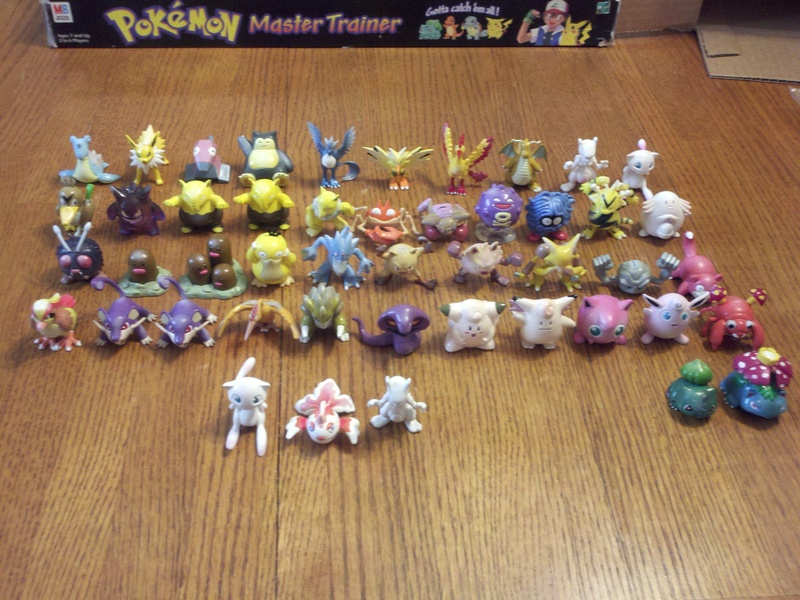 My name is Dylan and I've loved Pokemon for almost as long as I can remember. I started "collecting" about a month ago even though I've had toys and games since they were first released. 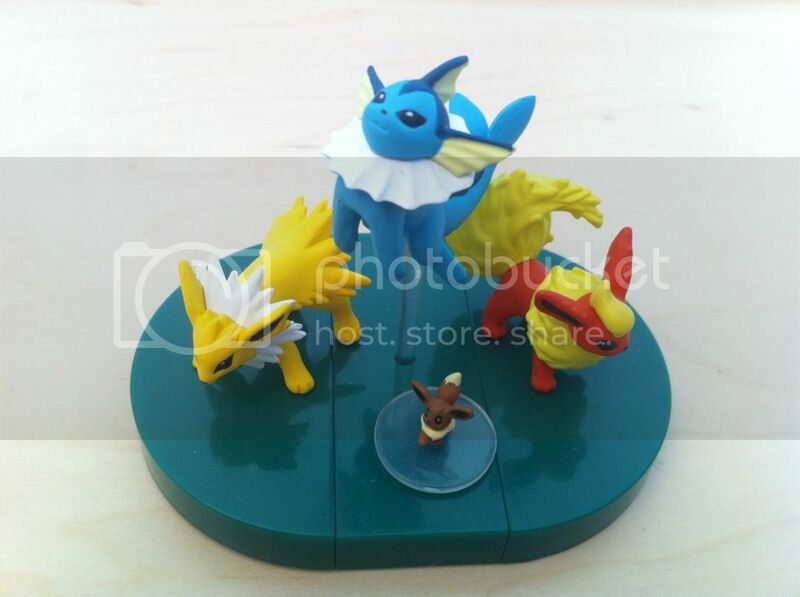 I've recently been on a quest to acquire the first two generations of Tomy Pokemon figures, and that's what brings me to livejournal. I wanted to show you all what extras I have that are still decent, and tell you about the ones I need to finish my collection. I DO NOT have sales permission. So to start, these are the figures I have lying around. 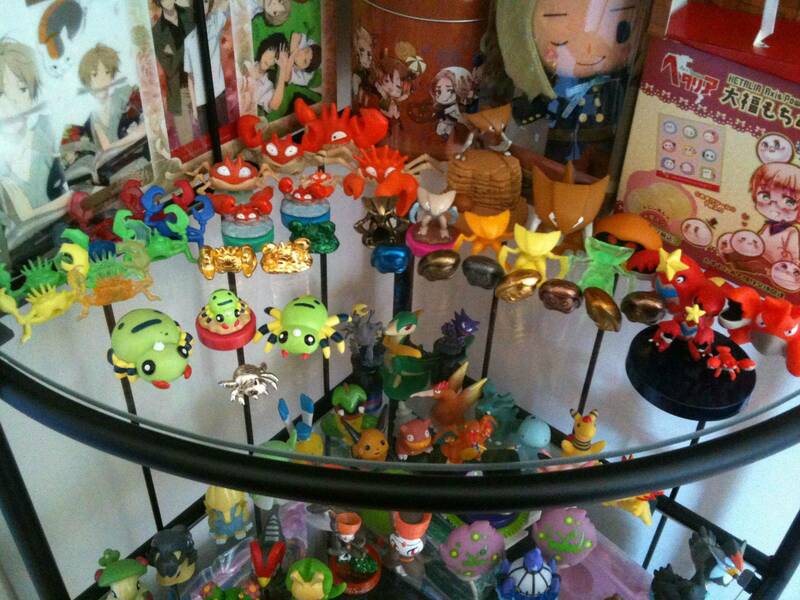 These are the extras I've acquired since I've been collecting the first 250 Tomy figures. These ^ are in good condition, but have been showed some love over the years. Some are worse than others bot nothing too serious. A scuff here, a run there, except Doduo. I forgot to put him in the first picture. He has a black mark under his base, but other than that he's great. The rest have there own stories i.e. 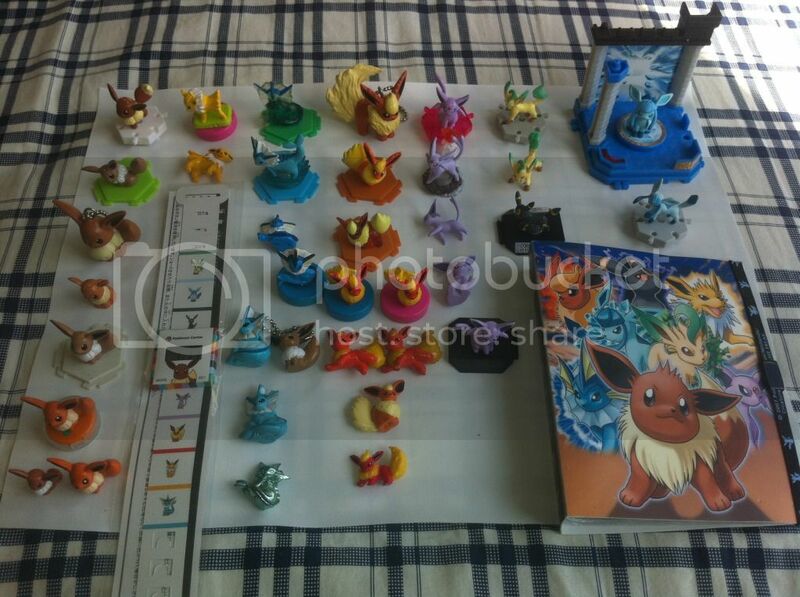 Ivysaur has red edges on his leaves, Kangaskhan had a chip in the paint, one Venonat won't stand, ect. All are in pretty fair condition. Again all are Tomy. Raichu and Meowth are Auldey Tomy. And last but not least is the bad bag ^ lol. 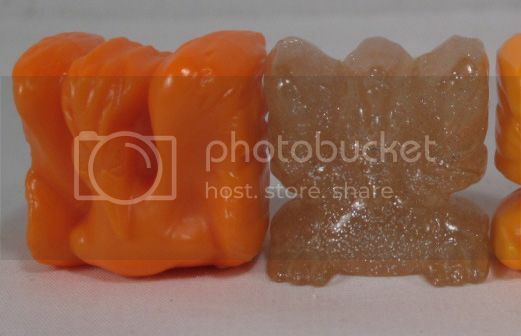 These are a mix of Tomy and Auldey Tomy with multiple scuffs, missing paint, and what appears to be mew's orange wig. (sharpie maybe) I plan on painting them all shining and putting them with my collection. I'll update pics when I get done, though I probably won't start for a while. 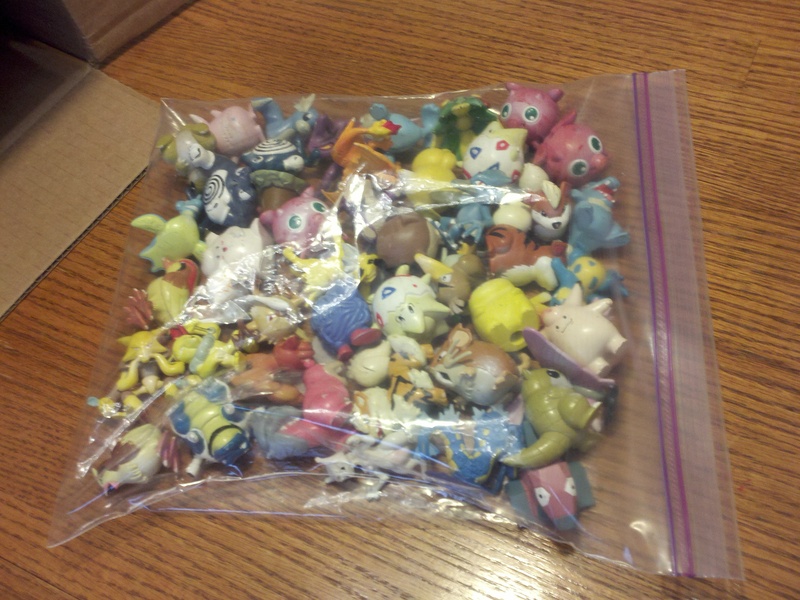 I also have a restoration project with broken Tomy figures missing arms, tails, ect. I'm molding new parts with clay, BUT since it's hard to identically mold a part and paint it perfect they will all be personalized Pokemon. 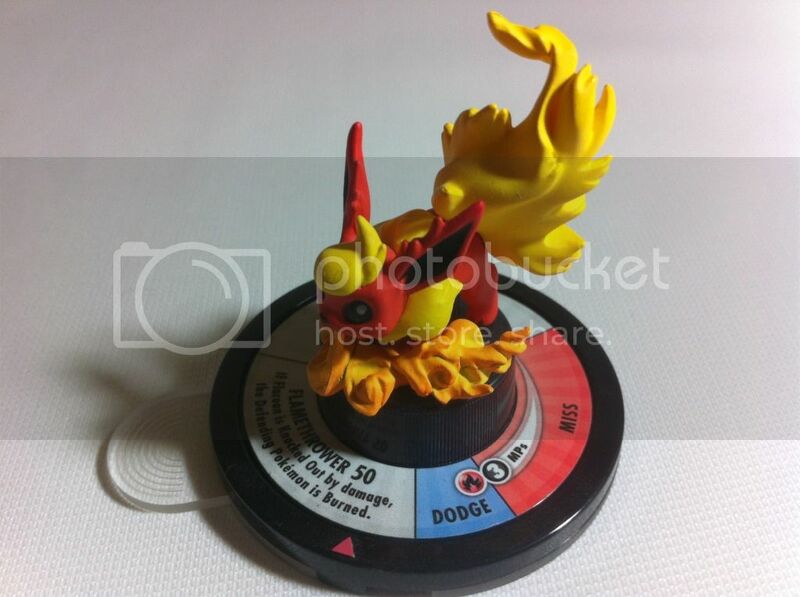 (Non shiny but individual paint scheme fanfic Pokemon) I'm excited about this. Pictures when I'm done, whenever that will be lol. Hi Everyone! It has been a long time since I have made a post on the community, there are lots of new members I notice, and things are bustling as usual! 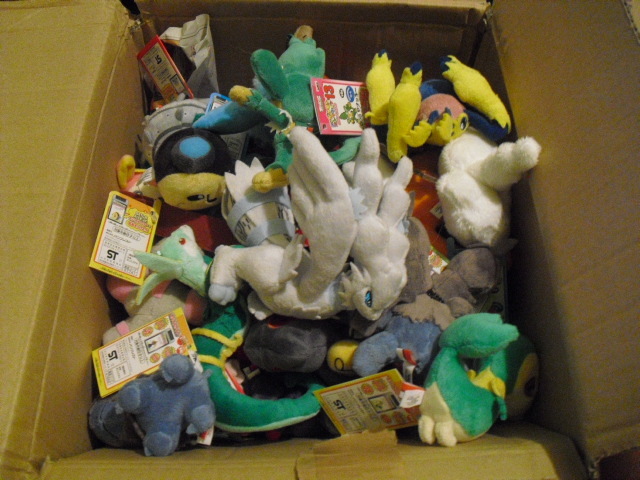 And I bring from my long absence, a small sales for you guys, including a MWT (red tag) Glaceon Pokedoll and a MWT Skitty Pokedoll! 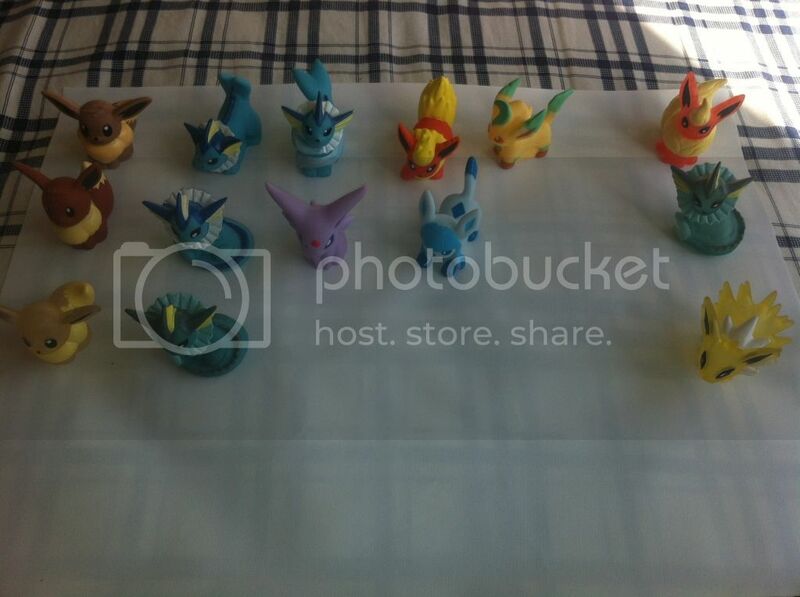 Its very hard to see glaceon go, but I know she will find a good home on here!